So I went and ordered my Nomad tonight. I didn’t even think about this before ordering but I make an electronic module setup in a ABS enclosure that takes 11 drilling operations so I think my machine will make my life a lot easier (11 operations using 5 different size bits). One operation though I am not sure how to do (if it can be done) and that is 2 screws I use are tapered heads so they sit below the top of the surface. 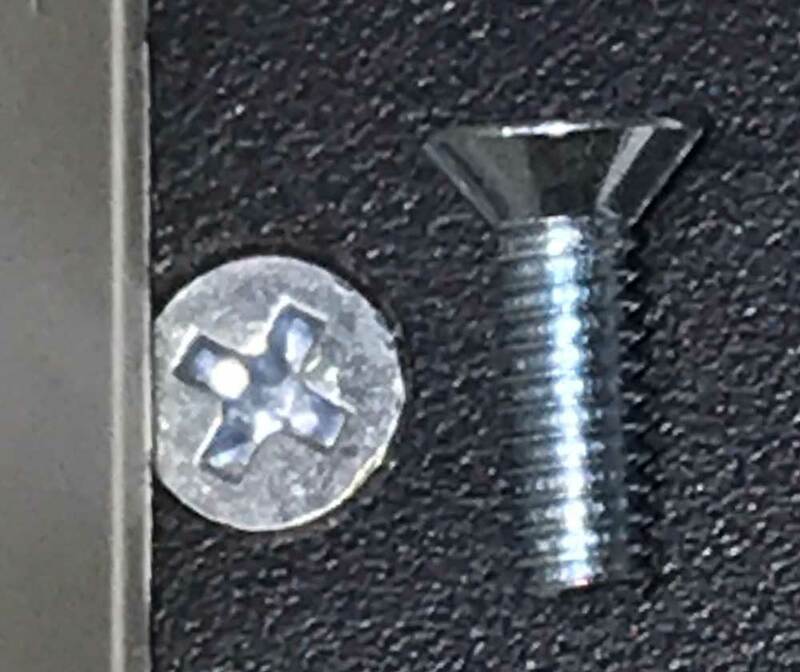 I have photos (will see if I can figure out how to upload them here) but the box is ABS about 3/32 thick and I need small holes that are tapered, the main hole is 11/32 and the top of the screw is 19/64. Is there some sort of tapered bit or counter sink bit for the Nomad I can use? If not I can do these 2 steps with my drill press. A chamfering bit or appropriately sized ball end will do this. The Nomad doesn’t have really have the power to plunge a countersink. I wouldn’t even try. Really. Countersinking is actually a rough operation. The countersink will be cut b orbiting and feeding the tool to follow the desired surface. 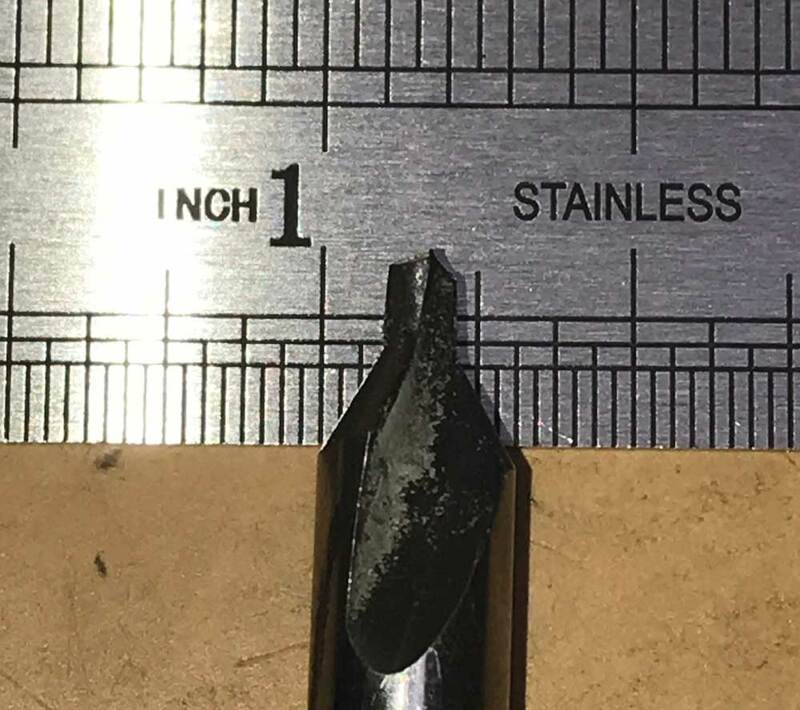 For an 82 degree head (common), you can get an 82 degree chamfering endmill for just this operation, but the smallest I have seen is 1/4" (it will do a sink as small as you want, but requires a 1/4" collet to hold it). A ball end will do fine, unless you are looking for a geometrically perfectly smooth cone. If you are using 90 degree (ISO spec) heads, then there is a wider variety of chamfering bits, but, again, a ball end will do fine. For other angles, my suppliers don’t show any off-the-shelf tooling, but I would not be surprised if something is available, for a price, somewhere. Here is a more generalized aspect of the Nomad you should know. The Nomad, at least using Carbide 3D software, does not “peck”. This means drilling a hole without moving along the X or Y axis. The way around this is to use a bit somewhat smaller than the desired hole and cut the hole as a “pocket”. At first this sounded less than optimal to me but it works quite well. The same would be true cutting a chamfered hole, you would best use Carbide Create’s V-carve tool for this. Congrats Terry! Another Nomad owner in the community. Agreed, out of the box it is better to pocket than drill - and if making 5 different size holes, it means less toolchanges which is a not insignificant bonus. Not impossible to drill on the Nomad certainly, but walk before run. The nice thing about pocketing a hole instead of drilling it means one tool instead of 5.